Engine compression testing is not included in the above power boat rate, but can be done as part of the survey process. Please note that we compression test gasoline engines only. While deck-level rigging is inspected as part of the sailboat pre-purchase survey, going aloft to inspect the rest of the rig is priced separately. The most comprehensive of all marine surveys, the pre-purchase survey is performed on behalf of the prospective boat buyer before money is exchanged. When buying a boat, it should first be understood that every single boat will have issues. Every. Single. Boat. I’ve inspected brand new boats straight off the manufacturing line with a punch list two pages long. That’s just the nature of a boat. There are many systems that are asked to perform many funtions and at least a few are bound to have problems. The key is finding these problems before you’re on the hook for addressing them. Not only is the most vulerable part of a boat below the waterline, it is also the least seldom checked. This is why the haul-out, aka “short haul”, is a critical part of the survey process. Sea trials are also a must-do part of a thorough pre-purchase survey. A boat may look great sitting still in the water, but how does she perform? How’s the steering system? Do the engines overheat? Does she list? Any abnormal vibrations? The only way to know is to put the boat through its paces and ask the boat to do everything it’s meant to do. 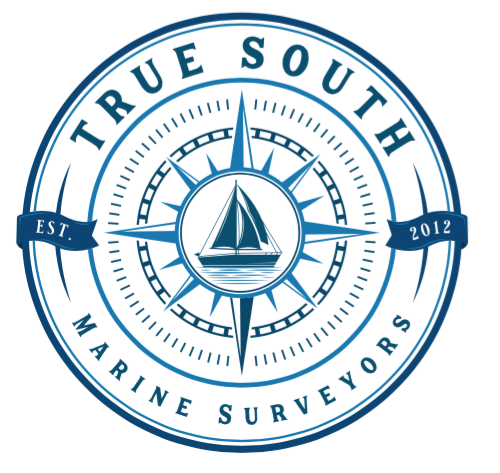 True South Marine Surveyors, LLC. Charleston, South Carolina. Copyright © 2019. All rights reserved.